Established in 1993, Unmatched knowledge and skills for Basement Waterproofing. Specializing in Basement Waterproofing throughout MA, RI, NH, & CT.
© Copyright 2016. 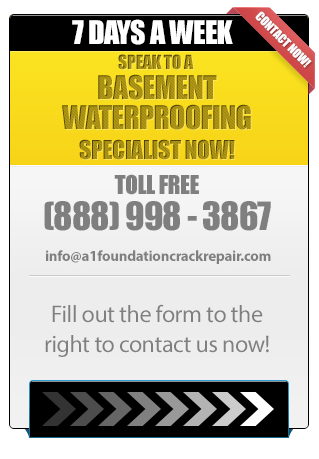 A-1 Foundation Crack Repair, Inc. All Rights Reserved. 9 John Robinson Rd Hudson, MA 01749.